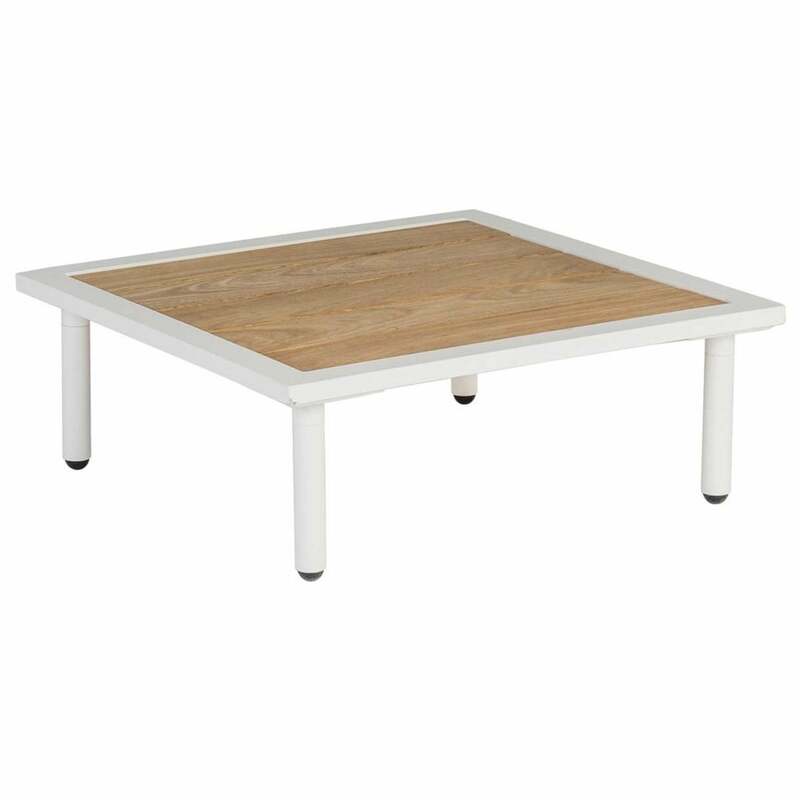 Alexander Rose Beach Lounge Roble Top Side Table: The Beach Lounge Side Table by Alexander Rose comes in this contemporary low level design for an attractive contrast texture to complement the range. The Alexander Rose Side Table is made with powder coated perforated mesh aluminium frames in a choice of either flint grey or shell cream to suit your preference. The Beach Lounge Table also features stylish slatted roble hardwood table top perfect for resting drinks on when relaxing outside and includes a 10 year roble timber warranty.